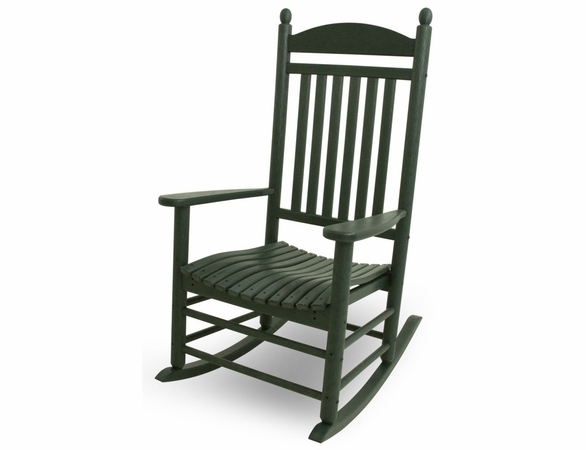 This POLYWOOD® Jefferson rocker is a time-honored classic with an important eco-friendly difference. 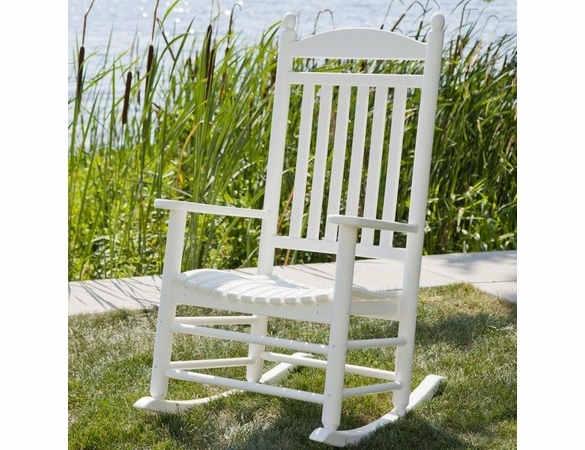 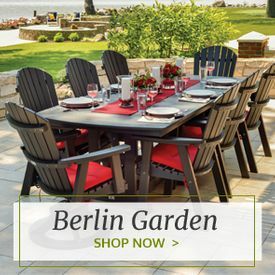 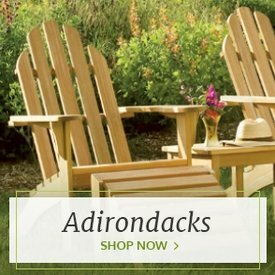 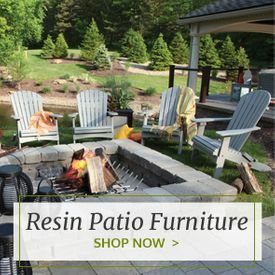 This impeccably styled rocking chair, available from Outdoor Furniture Plus, is made from special high-density polyethylene that comes from post-consumer or post-industrial material. 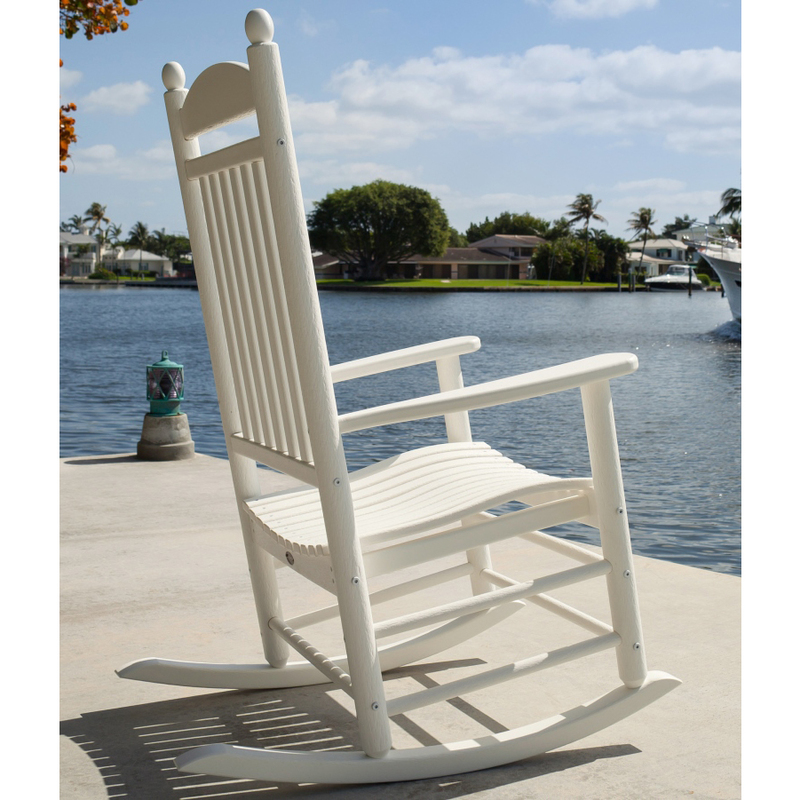 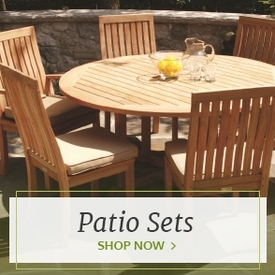 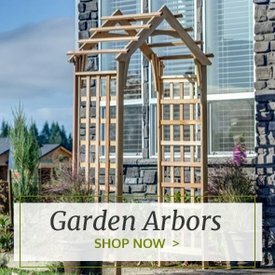 It looks like wood, but it is resistant to rot, corrosion and potentially damaging elements such as salt water spray. 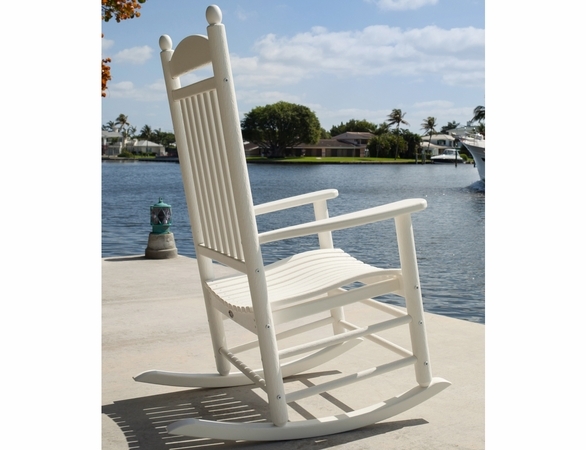 This material easily cleans with soap and water, and the chair is made with marine grade stainless steel hardware. 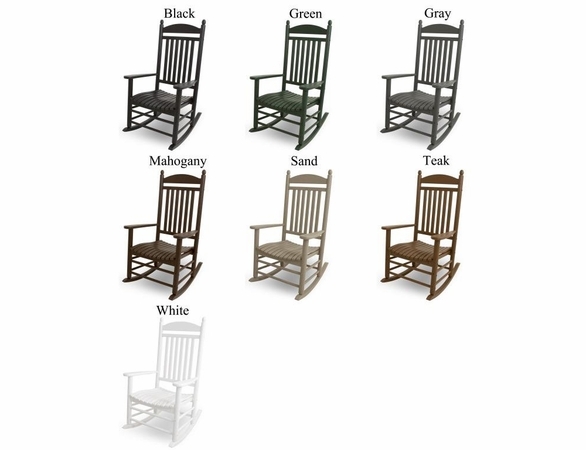 Select from various frame finishes. 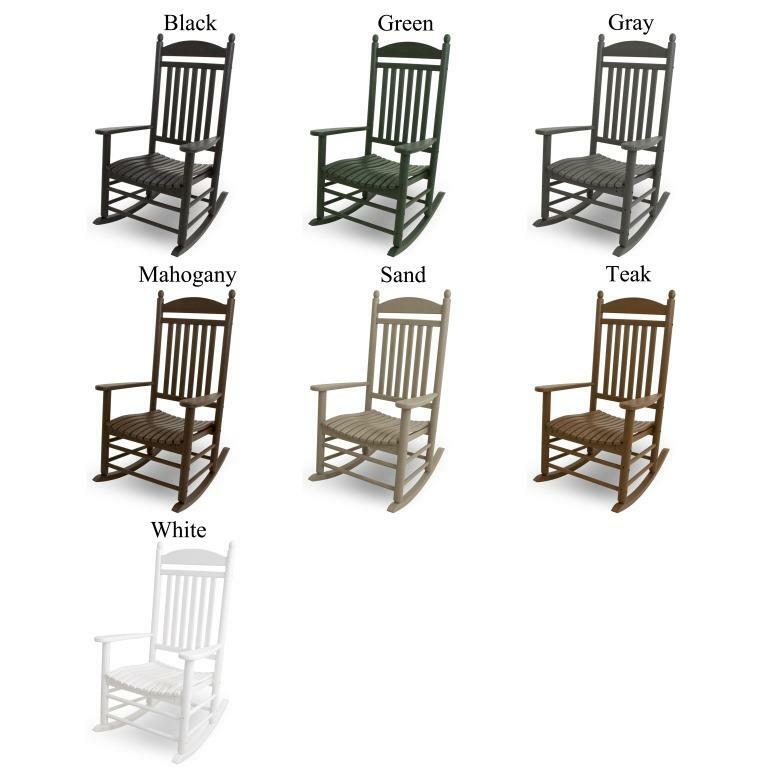 A seat cushion with 13 choices of fabrics is optional. 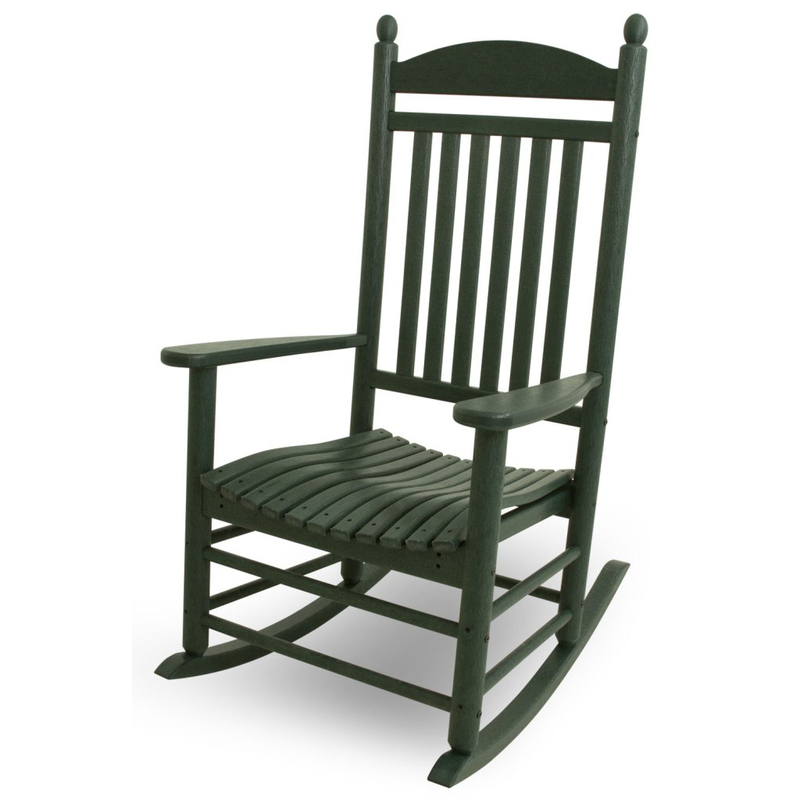 This POLYWOOD® rocker is tested to handle weight up to 250 pounds. 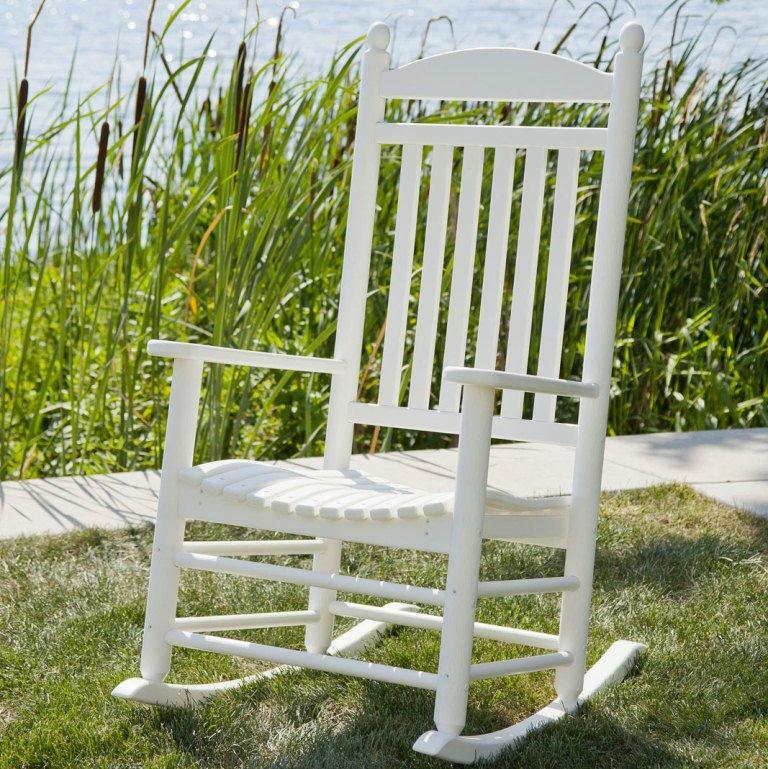 May hold more but not tested for more.